This past summer I took a ten week course on emergency medicine to become a licensed Emergency Medical Technician. As the beginning of the course drew nearer, I got more and more excited about emergency medicine and gaining hands-on experience bandaging wounds, splinting broken bones, and performing CPR. But to my surprise, the first few weeks weren’t spent learning about avulsions, nor fractures, nor securing an airway. The first few weeks were spent learning about legal issues, stress, and lifestyle…about being as healthy an EMT as we all could be. Of course, after those topics were covered we dived right into the thrill and excitement. Yet, as I reflected on my eagerness to jump right into the heart of emergency medicine, I realized how oblivious I was to the importance of those first few weeks. Being a paramedic, a police officer, or a soldier…really any career that is ever-changing and dangerous, is incredibly stressful and can really take a toll on oneself. Stress and traumatic events can lead to irreparable emotional and physical pain. When you really think about it, how can we possibly help others, if we aren’t focused on keeping ourselves physically, mentally, and spiritually healthy in the process? Recently, I read an article in Wired Magazine about memory and how it can be altered. “The Forgetting Pill Erases Painful Memories Forever” described the experience of a volunteer firefighter who had encountered a traumatic car accident and could not get over for the emotional torment for weeks, until he simply expressed his experience in words to a close relative. This very simple, yet very influential treatment – developed later as Critical Incident Stress Debriefing (CISD) – had for many years thought to be helpful in coping with the emotions associated with traumatic events. 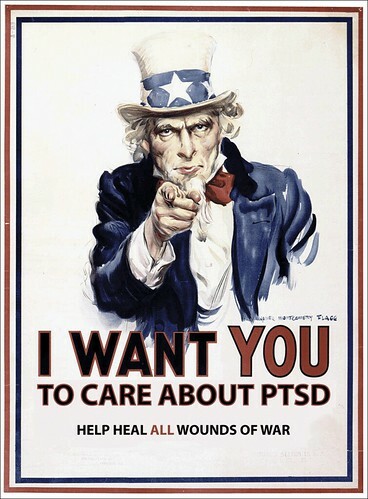 As explained in the article, the central idea behind CISD is that, “people who survive a painful event should express their feelings soon after so the memory isn’t ‘sealed over’ and repressed, which could lead to post-traumatic stress disorder,” (e.g., PTSD), an incredibly debilitating condition, much too prevalent amongst those who risk their lives in serving the public (Lehrer). Though, lately CISD has been under some scrutiny; recent studies have shown that CISD can make things even worse and increase the probability of developing PTSD (Barboza). CISD fails to work because it is based on incorrect ideas about memory that have persisted for thousands of years, namely that, “once a memory is formed, we assume that it will stay the same,” whereas in reality, “the very act of remembering changes the memory itself…every time we recall an event, the structure of that memory in the brain is altered in light of the present moment, warped by our current feelings and knowledge” (Lehrer). Which makes perfect sense. If we’re in a bad mood, our happy memories may seem a little dimmer, and if we’re in a happy mood, even some of our darker memories may be remembered in a better light. Our memories are not static. Each time we recall a memory, it undergoes dynamic changes. The article goes on to discuss the structural basis of memories in our brains: “every memory begins as a changed set of connections among cells in the brain,” and that “for a memory to exist, these scattered cells must become more sensitive to the activity of the others, so that if one cell fires, the rest of the circuit lights up as well…scientists refer to this process as long-term potentiation, and it involves an intricate cascade of gene activations and protein synthesis” in order to occur (Lehrer). This is called the consolidation phase of memory (i.e., long-term potentiation, or LTP), and it occurs when a memory is consolidated, or retained, in the brain. While the article touches on a few different experiments looking into memories, they all seem to revolve around the research of neurologist Todd Sacktor, and his work on a specific molecule involved in regulating long-term potentiation: Protein Kinase M zeta (PKMζ). PKMζ is a member of the protein kinase C family – a group of enzymes which regulate activity by adding a phosphate group to a molecule. Increases in the concentration of PKMζ in rat studies turns them into little geniuses, or as the author describes them: “mnemonic freaks, able to convert even the most mundane events into long-term memory” (Lehrer). Yet, a specific PKMζ inhibitor, zeta-interacting protein (ZIP), has allowed researchers to alter the memories of these rats. A proposed clinical application of this could be in “making people not forget an event but physical pain,” and it’s possible use in treating addiction, chronic pain, and other memory driven ailments (Lehrer). Many possible risks and benefits accompany this research. While memory alteration could prove a viable treatment option for many diseases, including addiction, PTSD, and neuropathy, the idea that we could eliminate pain from our memories could prove incredibly dangerous. Pain has played an incredibly important role in our evolution as a species and in our individual day-to-day lives. If we eliminate the pain from a memory of touching a hot stove, what reason would we have not to touch it again? If we create a pill to eliminate memories, how can we be sure it won’t be abused? How would we regulate it? How would we be sure that anything is real? The research that this article highlights could have an immense impact on all of our lives. 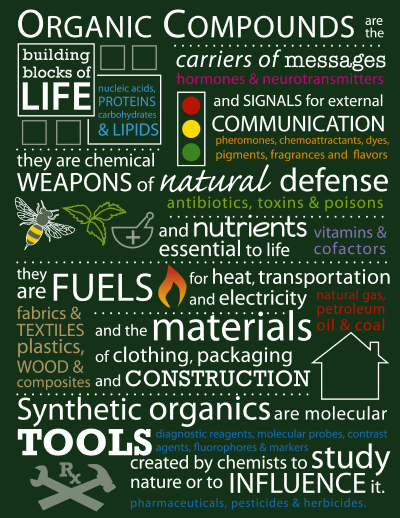 Although many of these ideas may seem outlandish, the research is real and the possibilities are there. Yet this article leaves many questions to be answered. Just how many of the article’s statements are science fiction and how many are actually feasible? How does an increase in PKMζ production increase long-term memory, and how does the inhibition of it lead to memory loss? Also, why it is specifically the emotional and painful aspects of these memories that are being lost? Why PKMζ? What is it about the structure and function of this protein that makes it so much more important for long-term memory than any other protein? It’s obvious that this magazine article lacks the scientific explanations that an inquisitive reader desires. To come to a better understanding of these questions, one must know more about the science behind PKMζ, and the research being performed on it. In order to dive a little bit deeper into this memory alteration paradigm, I used the University of Illinois Library website, and performed a journal search for articles on PKMζ, and found a very recent article by King et al. entitled, “Contribution of PKMζ-dependent and independent amplification to components of experimental neuropathic pain” in the journal, PAIN. While in the Wired article we were talking about memories, we're now talking about pain. So, why is PKMζ being researched in the world of neuropathic pain? First, let’s define neuropathic pain as pain that is a result of direct damage to the nervous system. In this study, the researchers are exploring neuropathic pain, via inducing a spinal nerve ligation (SNL) injury in rats. But, why pain? Well pain is thought to share similar mechanisms with memory. Quoting the study specifically, some times, “injuries can induce adaptations in pain processing that result in amplification of signaling,” and it is thought that one of the mechanisms underlying this amplification in signaling, “may be analogous to long-term potentiation and involve the atypical protein kinase C, PKMζ” (King et al. 2012). When we create a long-term memory, the sensitivity of a specific network of neurons increases firing. In neuropathic pain we see the same type of amplification of signaling across a specific network of neurons. While the injury may have healed, the neurons are wrongly still sending a pain signal to the brain, manifesting itself in neuropathic, chronic pain. Typically, when we get an injury, this pain response goes away relatively quickly depending on the injury. Neuropathic pain, on the other hand, is a disorder of the nervous system and persists chronically. It is a very debilitating disease that ruins peoples lives. There is a lot invested in finding better ways to treat it. In the journal article, the researchers mentioned one proposed mechanism of LTP initiation, which occured "via N-methyl-D-aspartate (NMDA) receptors" (King et al. 2012). NMDA receptors are "the predominant molecular device for controlling synaptic plasticity and memory function" (Li and Tsien 2009). In this mechanism, as NMDA receptors are activated, PKMζ is formed and is phosphorylated, which activates the protein (King et al. 2012). PKMζ is then constantly active, and "believed to be necessary and sufficient for late LTP (l-LTP)" (King et al. 2012). The important part of this mechanism is that, "blockade of PKMζ activity with ζ-inhibitory pseudosubstrate peptide (ZIP) within the hippocampus reverses l-LTP and erases established memories in vivo," while, "in contrast, blockade of NMDA receptors does not reverse established LTP" (King et al. 2012). In order to reverse the long-term memories that have already been established and thus reverse neuropathic pain, one would have to inhibit the PKMζ protein itself, rather than inactivate the NMDA receptors. In this experiment, the researchers performed the SNL surgery (inducing neuropathic pain) on one group of rats, and on the control group performed the surgery up until the spinal nerve ligation. This was done to make sure that there were no complications associated with the procedures in the surgery. The researchers found an increased level of PKMζ in the experimental group in a region of the brain known as the rostral anterior cingulate cortex (rACC). The rACC is a structure, “that mediates, in part, the unpleasant aspects of pain” (King et al. 2012). Once the researchers were able to induce increased levels of PKMζ in parts of the brain, their next goal was to explore possible ways to inhibit PKMζ activity. They measured this inhibition of PKMζ activity with behavioral data obtained from observing rats response sto the potentially pain relieving drugs. The researchers first had to design a way to quantify the rats response to pain relief. To do this the researchers used a technique called Conditioned Place Preference (CPP). In the CPP technique, the rat is placed in a box with two compartments which “differ by visual and tactile cues” (www.panlab.com). At first, the rat is allowed to freely explore the box and its compartments without any stimuli. Next, after the surgery half of the rats are in pain, and half should not be. The rats are then placed in a specific compartment in the box and administered a drug that is being tested to relieve the rat’s pain. Specifically, the researchers are testing ZIP, a PKMζ inhibitor, and MK-801, a NMDA receptor inhibitor, against each other and against controls. The control rats, when injected with either drug should not change their behavior as the drug should have no effect on them. They are not in pain. These rats are used as a behavioral control to compare the experimental rats to. The idea behind this is that the pain relief acts as a positive reward, and thus the rat, when allowed free reign over all compartments in the box, should spend more time in the compartment in which the rat was given the drug (i.e. where the rat was positively rewarded). If the rat spends more time in the conditioned compartment, the behavioral data would suggest that the drug acted to relieve the rat’s pain. (www.panlab.com). In this experiment the researchers were mainly comparing ZIP, which has been suggested to reverse LTP, to MK-801, which has been known to block NMDA receptors. The results show that “inhibition of PKMζ within the rACC by a single administation of…ZIP…reversed SNL-induced aversiveness within 24 hours, whereas…MK-801 had no effects” (King et al. 2012). But, unlike what has been shown in memory research, “the consequences of PKMζ inhibition within the rACC are not permanent in neuropathic pain, possibly reflecting the re-establishment of amplification mechanisms by ongoing activity of injured nerves” (King et al. 2012). Whereas ZIP has been shown to completely reverse long-term memories, in pain this has not been the case. In this study, the neuropathic pain returned in about 7 days after administering ZIP. While it is still unknown, we can try to make sense of this situation. In neuropathic pain, the LTP is due to nerves from an injury that continually fire. So, while ZIP may reverse the established LTP, as soon as its effects wear off, the overactive nerve is still going to be firing, and thus will re-induce LTP. But this mechanism has not yet been proven. Questions still remain. How did PKMζ become so prevalent in the rats who underwent SNL surgery, but not in the rats who underwent the fake surgery? Why was ZIP's effect on PKMζ not permanent? Why was PKMζ so specific to the rACC? Why did ZIP not remove any other long term memories from the rats? Or did it? It seems that in order to truly appreciate PKMζ’s role in LTP, and ZIP’s opposing role in abolishing LTP, one must know more about the structure and mechanisms behind the proteins themselves. So, I figured, let’s get down to business and go straight to the source itself. If it was Dr. Sacktor’s research that was quoted in the Wired article, it will likely be Dr. Sacktor's research that would lead us to the answers we're looking for. In order to find out more, I performed a Google Scholar search, with the words “Todd Sacktor PKMζ long-term memory” and luckily stumbled upon a fantastic article from Nature Reviews Neuroscience, entitled, “How does PKMζ Maintain Long-term Memory?” by Todd C. Sacktor. Couldn’t have asked for a more perfect result. In this journal article, Sacktor synthesizes recent papers revolving around PKMζ and long-term potentiation, and comes to some interesting conclusions. Sacktor begins by explaining the concept of short-term memory, which is unlike long-term memory in that it is much more transient. Short-term memory is controlled by modifications which “affect the function of synaptic proteins, briefly altering the strength of the connections within networks of neurons that control behaviour,” (Sacktor 2011). Memory consolidation is manipulated by the action of neurotransmitter receptors, intermediate messengers and the molecules that these messengers affect, and various transcription factors (proteins that influence how frequently a specific DNA sequence gets transcribed into mRNA – and later protein). Thus, the majority “of the signaling molecules involved in this initial stabilization of memory were found to regulate new protein synthesis,” (Sacktor 2011) and thus it was suggested that gene expression may be the key to turning short-term memories into long-term memories, via a process called memory consolidation. PKMζ is constitutively active, and is found “exclusively in neural tissue and enriched in the forebrain,” (Sacktor 2011). In short, what this protein does is increase postsynaptic responses, which then helps mediate the transfer of excitatory responses in the nervous system, particularly in the regions of the brain associated with memory (Sacktor 2011). In the absence of PKMζ activity, long-term potentiation (or simply the brains ability to consolidate memories into long-term memories) can be reversed, and these long-term memories can be lost. This simplification raises many questions. First, if, “the activation of protein kinases lasts only seconds to minutes, how can the activation of PKMζ be maintained for weeks to months? Second, how does only a brief exposure to a PKMζ inhibitor rapidly disrupt a stable memory [permanently]” (Sacktor 2011). And finally, why is it that a very transient application of PKMζ inhibitor causes one to completely lose a past memory, yet not affect one’s ability to create a new memory? It seems as though the further we fall into this rabbit hole, the more and more mysterious it gets. 1. During LTP inductance and memory formation, postsynaptic…activation causes a rise in Ca2+. 3. As the second messengers are rapidly eliminated, the activities of most of the effectors fade within minutes. 4. By contrast, once PKMζ is formed, its activity persists. As any student of the biological and chemical sciences knows and has likely already converted to long-term memory: structure determines function. Most varieties (or isoforms) of protein kinase C have both a regulatory domain and a catalytic domain (Sacktor 2011). The regulatory domain under normal conditions inhibits the catalytic domain. But when a certain molecule is released in the cell, such as Ca2+ due to the firing of an action potential, it will “bind to the regulatory domain and produce a conformational change,” that will release the regulatory domain’s inhibition, and allow the catalytic domain to become active (Sacktor 2011). As long as the specific effector molecule stays bound to the regulatory domain, the catalytic domain will remain active. However, most effector molecules don’t stick around for too long, typically lasting only seconds in the cell before being degraded or exported. Thus, the activity of typical protein kinase C isoforms do not last very long. PKMζ, on the other hand, works much differently than its PKC relatives. The gene encoding PKMζ is transcribed to mRNA, and “under basal conditions is translationally repressed,” (Sacktor 2011). The interesting thing is that the gene for PKMζ “encodes a zeta catalytic domain without a regulatory domain,” (Sacktor 2011). While the PKMζ gene is not expressed under normal conditions in the cell, the thought is that once it is expressed, its activity will be constitutively active due to the lack of a regulatory domain. The question is, under what conditions is PKMζ expressed? It is during “LTP production…in the postsynaptic density” that the formation of various signaling molecules (specifically CaMKII, phosphatidylinositol 3-kinase, MAPK, PKA, mTOR and actin filament) are activated (Sacktor 2011). These signaling molecules are necessary to “release the translational block on PKMζ synthesis,” (Sacktor 2011). Once PKMζ has been synthesized, it has only “low levels of activity until it binds to another kinase, phosphoinositide-dependent protein kinase 1 (PDK1), which phosphorylates PKMζ and converts it into a conformation with high constitutive activity,” (Sacktor 2011). In order to maintain memories, though, we need to maintain PKMζ activity at relatively high levels. How is this high level of activity maintained? Through what is known as a positive feedback loop, or simply: “A produces more of B, which in turn produces more of A” (WIKIPEDIA “positive feedback”). In our neurons, as we know from above, the PKMζ mRNA is transported from the nucleus where it is produced, to the dendrites of the cell (where the neuron receives messages from other neurons) and is translationally repressed until acted on by the factors mentioned in the previous paragraph. What is actually causing this repression is the action of PIN1, a prolyl isomerase. Certain processes that occur during LTP, such as glutamate signaling, “decreases PIN1 activity, releasing its repression and allowing PKMζ synthesis,” (Sacktor 2011). PKMζ once active, “phosphorylates and inhibits PIN1, so sustaining PKMζ synthesis,” (Sacktor 2011). Thus, LTP can cause localized, self-perpetuating high levels of PKMζ activity. “This localized persistent increase in PKMζ continually…maintain[s] increased numbers of receptors at postsynaptic sites, potentiating synaptic transmission,” and thus creating long-term memories. But, once created, how does PKMζ maintain these memories? PKMζ increases the amount of receptors (specifically AMPA receptors, or AMPARs) at specific post-synaptic sites. But how does this increase in AMPARs maintain for weeks and months? It has recently been suggested that “when PKMζ traffics AMPARs to the synapse, homeostatic responses are activated that tend to drive the receptors back out and return the synapse to its pre-potentiated state,” (Sacktor 2011). In order to keep the effects of LTP, there is an ever-lasting tug-of-war between PKMζ and these homeostatic responses. High levels of PKMζ are able to maintain dominance over these homeostatic responses, and maintain long-term memory. This creation of memory may not always last forever, though. As we all know, memories can be forgotten, even those that may have once been incredibly vivid. 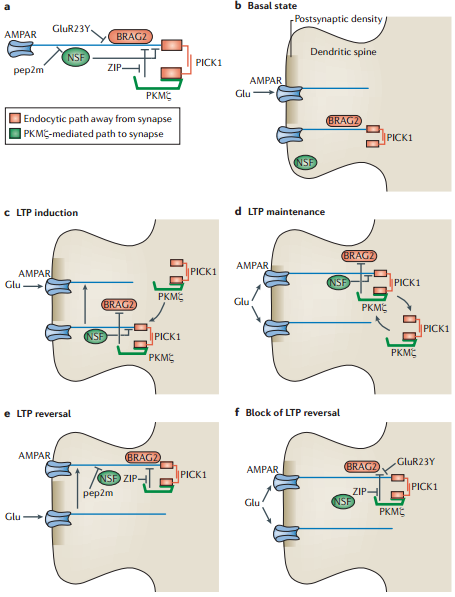 If PKMζ is inhibited by ZIP (zeta interacting protein) a loss in AMPARs is noted in the cell and the synapse returns to its pre-potentiated state. PKMζ’s presence at a synapse is necessary for the preservation of “experience-dependent information, but has no lasting role in the basal synaptic transmission of neural circuitry that is established during development,” (Sacktor 2011). But, how is this long-term memory lost, seemingly erased from our minds? As LTP occurs, PKMζ increases at a specific postsynaptic site. But, when the kinase is inhibited, “both the synaptic potentiation by PKMζ and the synapse-specific compartmentalization of PKMζ are lost…even after ZIP is eliminated, the information encoded as which synapses originally contained PKMζ cannot be recovered,” and thus the memory is erased (Sacktor 2011). Yet, while ZIP has erased the long-term memory that had been established in that network of neurons, there has been no damage done to the structural framework of the neurons themselves. Thus, there can be incredibly deleterious effects on memory, but no effect on the ability for new memories to be created. That was a lot of information, so it may be helpful to slow down and recap. As an action potential fires across a neuron, calcium enters the cell and triggers a set of responses which leads to the increase in PKMζ concentration in the neuron. In order to get PKMζ to a high enough level to maintain a long-term memory, the neuron must be firing a lot as is the case in the induction of LTP. As LTP is induced, PKMζ levels rise due to both the pathway initiated by calcium and the positive feedback loop where PKMζ releases the repression of PKMζ molecules by PIN1. PKMζ recruits more AMPA receptors to the membrane of the neuron, thus increasing fast excitatory synaptic transmission in the neuron which helps maintain the long-term memory. All the while, PKMζ is working against the homeostatic response of the cell to reduce the amount of AMPA receptors to its pre-potentiated state. As soon as ZIP is introduced, the PKMζ proteins are inhibited, allowing the homeostatic response to remove AMPA receptors to pre-potentiated levels, essentially erasing the long-term memory. Yet, the neuron has not undergone any structural damage, if anything it's like a white board whose markings were erased, but it can still be written on. As this phenomena has only recently been discovered (in the past few years) there is still much to be explained. I for one, while reading through the journal articles still could not find data to back up some of the claims made in the Wired Magazine article. For instance, I could not imagine ZIP being able to delete one specific memory without any sort of collateral damage to other memories in the brain. Also, how can we retain memories that we are not constantly potentiating if the homeostatic response is to erase the AMPARs and get rid of the information? In Sacktor’s article he mentions how PKMζ activity is maintained for weeks to months, but what about the memories we retain for years afterwards? What allows us to hold some information more than other pieces of information? How can ZIP be used to specifically target the emotional/painful aspect of a memory while leaving the rest of the memory intact? Rather than focusing on ZIP and its ability to erase, is there a possibility to use PKMζ to aid learning? A very important point was brought up in the Wired article that needs to be highlighted, that, “we can’t ask the rats how they feel [after losing memories]. Maybe they feel terrible. Maybe they miss their fear…or maybe all they know is that they miss something. They just can’t remember what,” (Lehrer). Importantly, maybe they still have the pain. We can’t be for certain. While we all wish we could forget some memories, this sort of memory erasure comes at a price. While still in its experimental infancy, a discussion on this research should be had. I began this paper talking about the crippling stress and high levels of PTSD found in some careers and the ability to treat these disorders of memory. And while CISD has failed in some aspects, I feel that a pill alone won’t be much better. While medication could prove incredibly helpful to those who suffer most from diseases of memory, this treatment could prove detrimental and dangerous in mainstream society. The ability to control memories is the ability to control reality. We all encounter pain and stress in our lives, and we all have those embarrassing memories which we wish we could forget. But the fact is, that it is our imperfections that make us who we are, our mistakes that make our lives real. Without pain and stress, our lives would lose meaning. Without those nagging memories at the back of our mind, what would stop us from making the same mistake time after time? And isn’t that the nature of insanity itself, doing the same thing over and over again and expecting different results? "Conditioned Place Preference." www.panlab.com. Panlab, S.L.U., n.d. Web. 12 Apr 2012. <http://www.panlab.com/panlabWeb/Software/SMART JUNIOR/pdfProtocols/AS Conditioned place preference using smart JUNIOR.pdf>. Barboza, Katherine. "Critical Incident Stress Debriefing (CISD): Efficacy in Question." New School Psychology Bulletin. 3.2 (205): 49-70. Web. 28 Apr. 2012. <http://www.nspb.net/index.php/nspb/article/view/33/30>. Lehrer, Jonah. "The Forgetting Pill Erases Painful Memories Forever." Wired. 17 Feb 2012: n. page. Web. 4 Apr. 2012. <http://www.wired.com/magazine/2012/02/ff_forgettingpill/all/1>. Li, Fei, and Joe Tsien. "Memory and the NMDA Receptors." New England Journal of Medicine. 361.3 (2009): 302-303. Web. 28 Apr. 2012. <http://www.nejm.org/doi/pdf/10.1056/NEJMcibr0902052>. Sacktor, Todd. "How does PKMζ maintain long-term memory?." Nature Reviews. 12. (2011): 9-15. Web. 4 Apr. 2012. <http://www.nature.com/nrn/journal/v12/n1/pdf/nrn2949.pdf>. Andrew, awesome post! There was a lot of intriguing and complex information, so I am thankful for the re-cap at the end. I like that you posed your own questions throughout the post and did not take every piece of information written in a study for granted. Since I don't have that much psychology background, I was stuck initially on what qualifies something as a short-term vs. a long-term memory and what qualifies something as short-term vs. chronic pain? Is PKMζ the most important protein involved in creating long-term memories, or just one of many? You also talked about how PKMζ increases the amount of receptors AMPA receptors at postsynaptic sites. I wonder how PKMζ works to increase a number of membrane receptors--is this what its kinase activity is mainly used for? I also don't think that the speed of signal transimission increases, just the number of signals being fired. Overall, I also like how this post introduced philosophical concerns with altering memory and pain. I agree with you that this could have dangerous consequences as well as some positive, but nonetheless there is probably so much more we don't know about...yet. Wow, a very unique and interesting topic. This was something I had never heard about, or thought to be possible. You've addressed a lot of good questions and came up with some very solid studies to back it up, especially exploring many different angles to the topic scientifically and morally. Some of the data was a little scientific and hard to follow for me. The summarization at the end helped me re-group my thoughts. A question that came to mind while reading was if PMKZ would be able to be memory specific or if a person had multiple tramatic memories, would all be erased? I was very intrigued with your title as I have taken a CNA class and was also very interested in this topic. When you talk about the research done on how PMKZ turns rats into "little geniuses" by having the ability to convert mundane events into long term memory maybe you could talk about how exactly the researchers are able to conclude that. I very much enjoy how you address many good questions because I was also wondering the same things while reading the article. A question I have is if a pill was able to be be passed by the FDA how do you think it would be regulated? What do you think would be a good way to regulate it? Excellent survey, explanation and summary of the science behind the hype. You did an exemplary job of synthesizing the necessary information and data. I appreciate your effort very much.